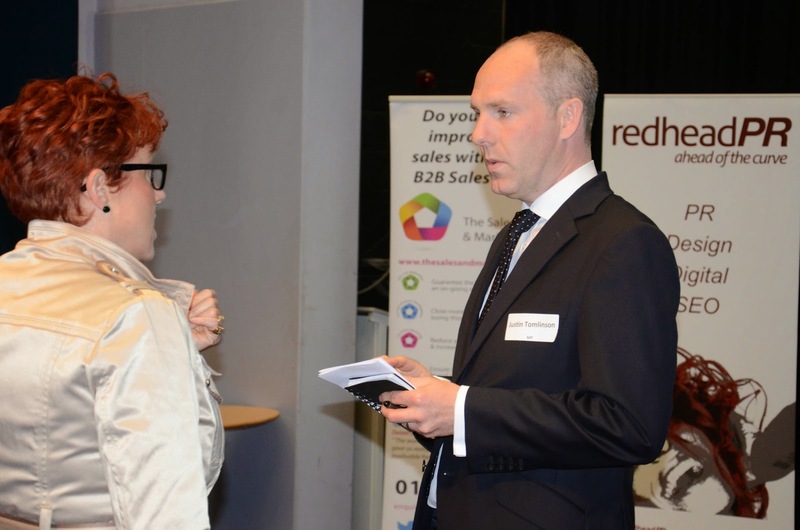 Win sWINdon, a key B2B networking event, took place on 8 October at New College in Swindon. I was delighted to co-organise the event. stin Tomlinson, MP for North Swindon, took to the stage. First up was James. 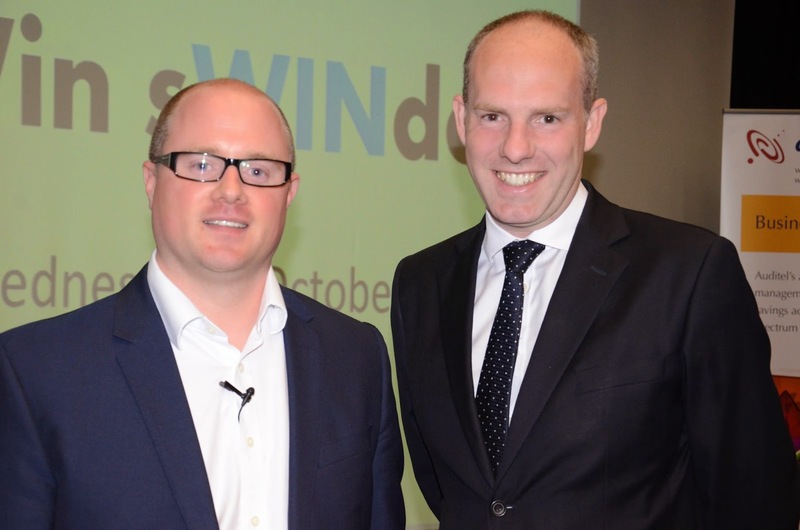 A successful entrepreneur and a big name in the Swindon business community, James won Wiltshire’s Business Person of the Year in 2012. He sits on the Swindon Influence Board and provides financial support for Wiltshire Young Enterprise, Swindon Town Football Club and Swindon Supermarine FC. 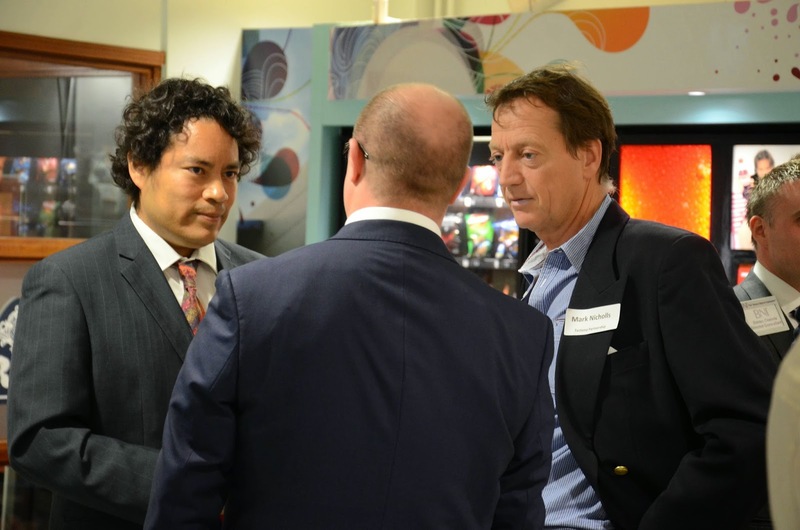 James answered the bold question: ‘How do you take a business from £50k profit to £2million in three years?’ His answers, full of great ideas, were received with enthusiasm by the crowd. It was fantastic to hear from such a high profile MP such as Justin Tomlinson too. Justin was the first local resident to win the North Swindon parliamentary seat and is the small business ambassador for the Conservative Party. As such, he understands the importance of the small business community to Swindon. He captivated the audience and spoke passionately about our area. After speaking, Justin and James took questions from business owners in attendance. It was great to see everyone engaging with each other, swapping business cards and really making the most to this networking opportunity. Thank you Read BNI for sponsoring the evening. I have recently been interviewed by Swindon Business News for their ongoing series of features, The LAST WORD. Have a read of below! Noah. I loved it. Loved the messaging throughout and the complications and conundrums posed. As a CSR and sustainable PR, it struck a chord with me. Can’t Swim, Bike, Run by Andy Holgate. The story of a man who went from nothing to Ironman triathlon. I love all the ups and downs. Hoping to learn something for my first Ironman one day. Michael Jackson, XSCAPE – it’s from the Quincy Jones era which I loved. Nice to still hear albums from a great artist, even though he is not around anymore. It was so long ago. Would have to be George Michael. I love him. The only events I attend are the ones I compete in. A Local Sprint Triathlon in Royal Wootton Bassett. I have two small children so it’s is either Butlins or the seaside. North Devon is a passion as we can surf, walk, run and cycle. Plus eat lots of clotted cream and ice cream. I never really get annoyed. I am black and white about most things and much more patient now. I get frustrated by poor service or disorganisation but rarely annoyed. Thing that made you laugh out loud? My experience swimming in the infinity triathlon pool in Bristol’s The Triathlon Shop. It’s hard and you don’t go anywhere! Work as hard as you can for as long as you can when you are young and then reap the benefits in later life. I have followed this advice and I am reaping the benefits now.